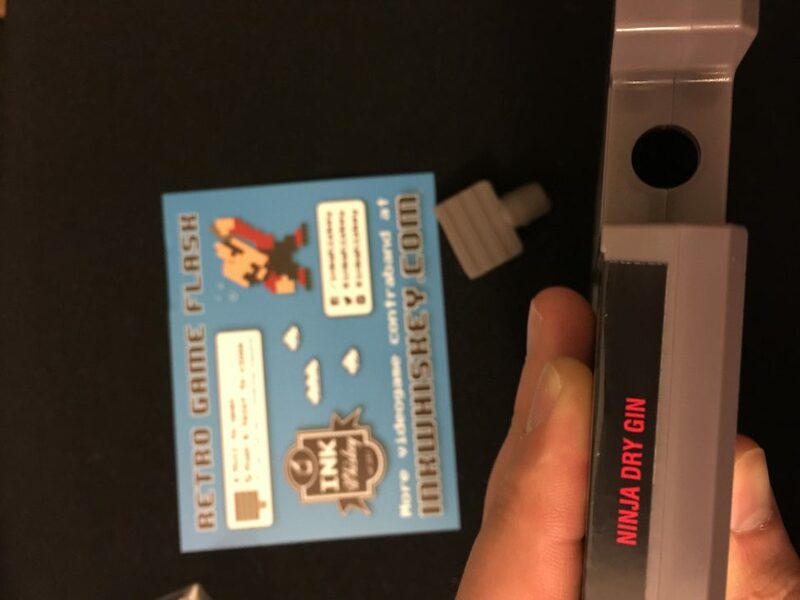 What could be more Geek Weekly than meeting the inventor of Ink Whiskey and being given a Ninja Gaiden Dry-Gin Flask, a set of Warp Shot glasses, and a Duck Hunt Gun Bottle Opener for a Gadizmo Hands On Review? Chalk it up to another brilliant New York Comic Con! Ink Whiskey was on hand to tout their newest creations and tease the future of beloved Nintendo-licensed barware. 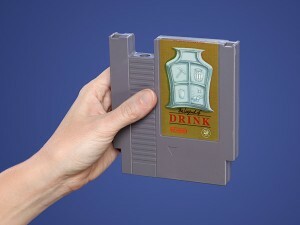 Oddly enough we covered the very first NES cartridge flasks, the “Drunk Hunt,” “Fine Ale Fantasy,” and “The Legend of Drink” when they first arrived on the scene years back. But oh! 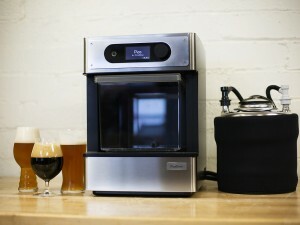 how the inventor has gone mad for more inebriating concoctions. 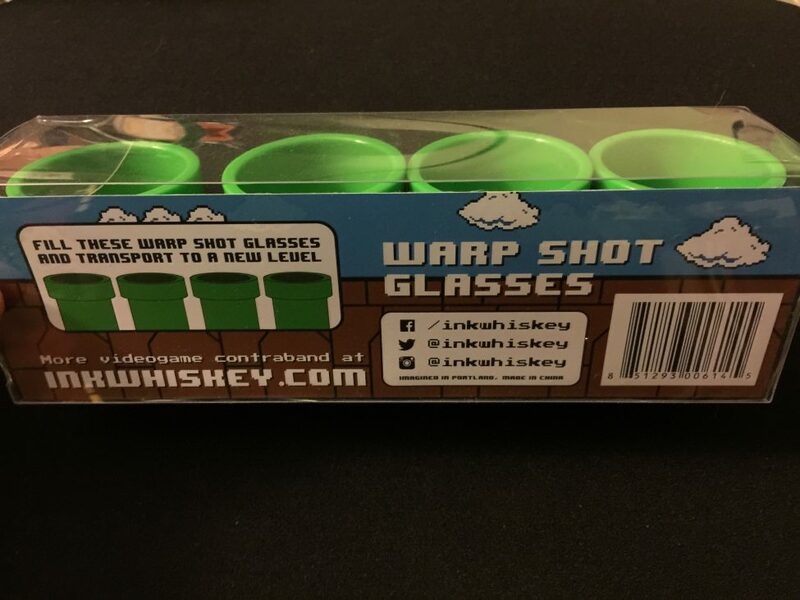 For just fifteen bones, US, one can purchase a wide and deep emerald Super Mario warping pipe, or rather a set of four Warp Shot glasses. 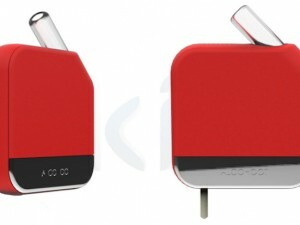 These bad boys can hold a double shot easily, or they can just display in their clear case with Super Mario cloud background and make the bar look plain badass. 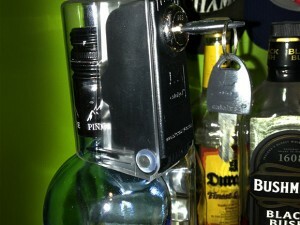 Should you want to continue the efficient bartending while hosting game night, nothing could be more useful than a sturdy bottle opener. 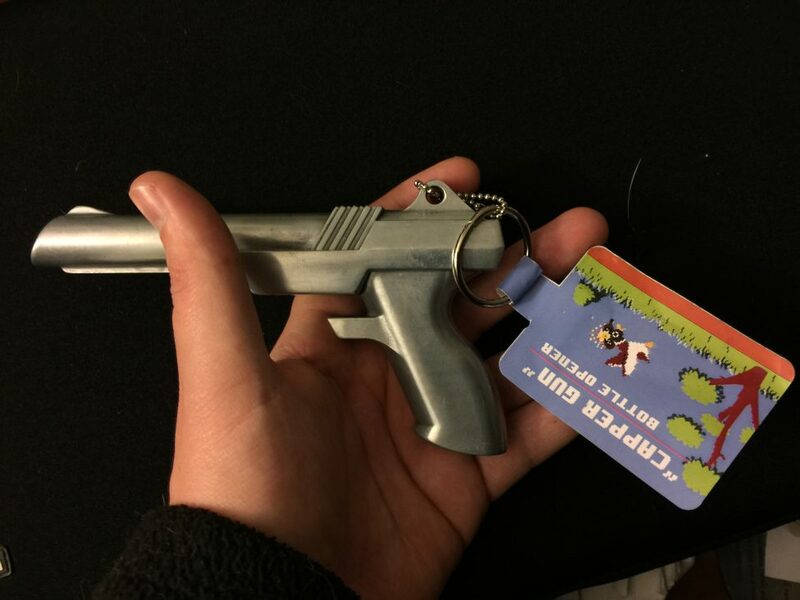 And the Duck Hunt blaster gun is a few pounds of heavy metal that quickly and efficiently disposes of those pesky beer caps. The uncanny resemblance to the NES accessory leads one to look around for the laughing dog whenever foam shoots forth froth from a shaken brew. This is also on sale for just fifteen big ones. 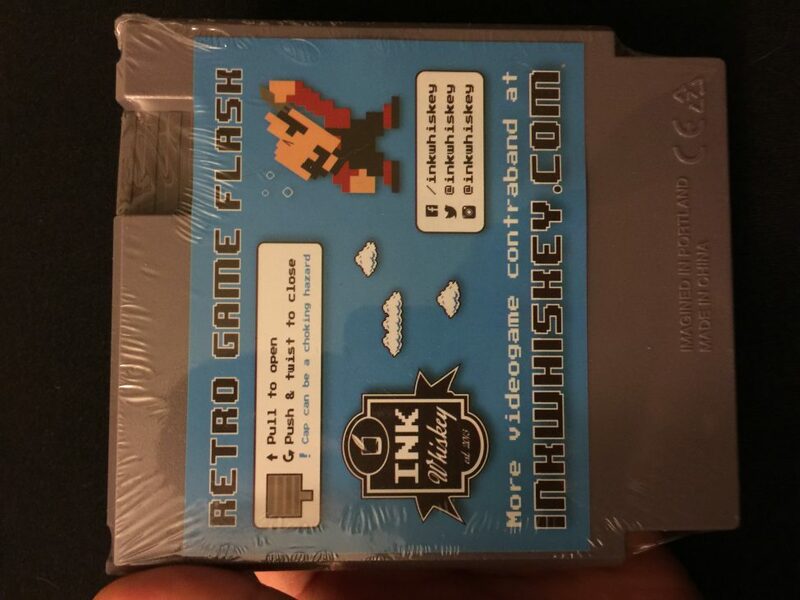 And last but not least, an entire line of infamous cartridge flasks have made their presence known and many are selling out forever. 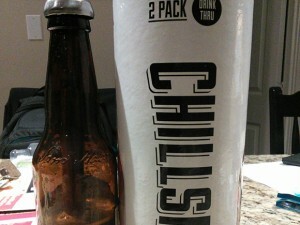 Bottle Toads is a newbie, but the classic Ninja Dry-Gin was what this reviewer decided to test his Bombay Sapphire in. 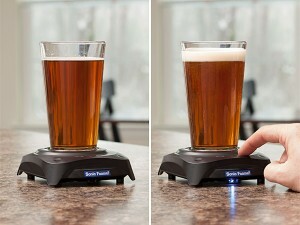 The cap is a soft rubbery item that can easily be pulled out yet securely corked in to hold your precious booze back. The feel, weight and even the artwork are exactly as an NES game should be. But with a quick twist of the cap, a magical lip-smacking game begins. 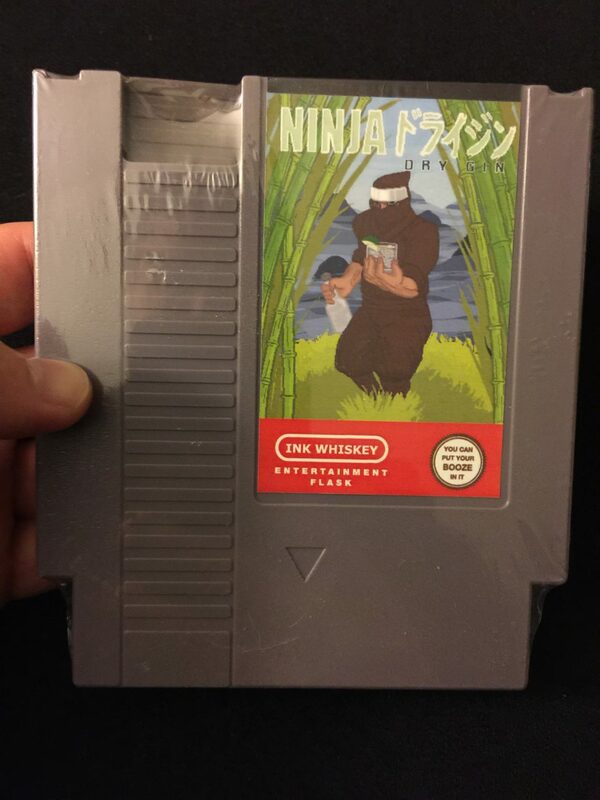 Some of the flasks are twenty bucks but most are now just fifteen, including the great homage to one of the all time ninjitsu game franchises, Ninja Dry-Gin.